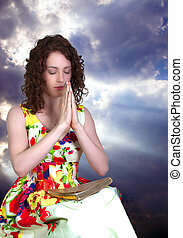 Religion concept - woman and her prayer over black. 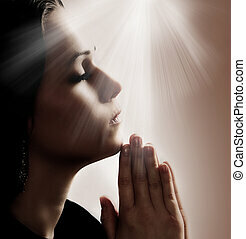 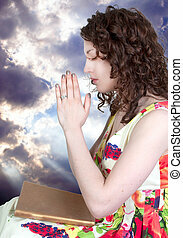 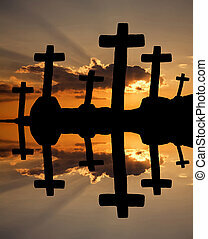 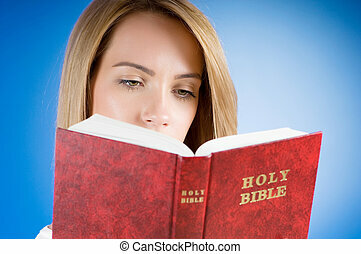 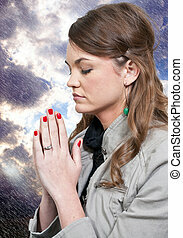 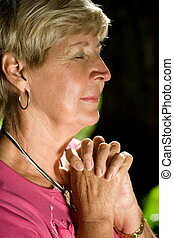 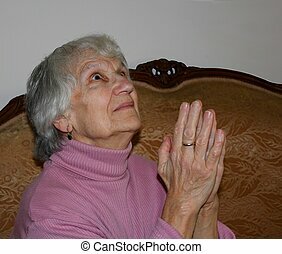 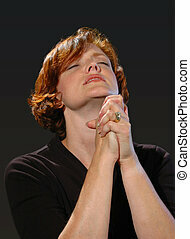 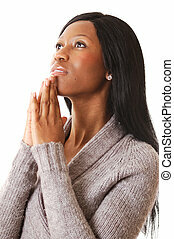 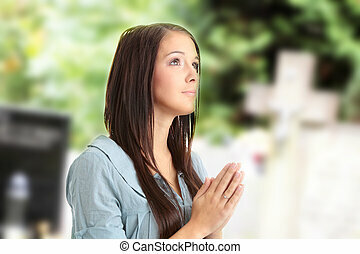 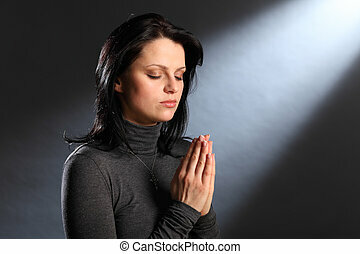 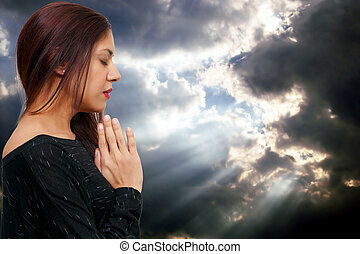 This is an image of a woman focussing in prayer. 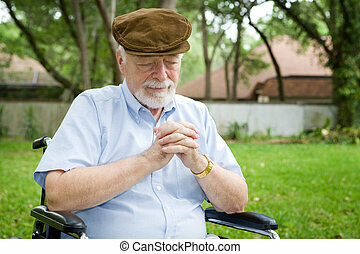 Senior man in a wheelchair making a tearful prayer to God.